For I also am a man set under authority, having under me soldiers, and I say unto one, go, and he goeth, and to another, come, and he cometh, and to my servant, Do this, and he doeth it. When Jesus heard these things, he marvelled at him, and turned him about, and said unto the people that followed him, I say unto you, I have not found so great faith, no not in Israel (Luke 7:8,9). Today’s leaders that are called to be released in the local church will be leaders that understand that they have been given authority, but also understand that they are set under authority. Leaders that learn how to operate within the boundaries of accountability are posed for success. One of the essential qualifications of a leader is humility, the centurion man understood he had authority, he also understood he was set under authority. Therefore with the correct understanding of position, it caused him to act in humility towards Jesus, and as a result Jesus was quite impressed with this man’s humility and faith and described him as a man with such great faith, which resulted in the hand of God moving on his behalf, healing his servant. The Bible teaches that he who humbles himself shall be exalted (Matthew 23:12). The way for leaders to grow and fulfill destiny is to build humility in their character as a way of life, which allows one to continually grow. Those that desire to be used as a leader in the local church must be willing to adhere to the core values of leadership character, such as integrity, humility, accountability, respect, and service. There are some leaders that are gifted, that can preach, teach, prophesy, and work in a gift, but they lack the ability to work in the values of leadership character. A good leader will develop and make necessary adjustments to bring a balance to his or her ministry. Most often people look at what a leader does as opposed to what they say. God’s plan for his leaders in the church is to perfect the saints, to bring unity in the faith, and to build a mature man (Ephesians 4:7,8). Therefore our goal is to do just that within the local church. The apostle Paul in 1 Corinthians 9:2, states, the seal of mine apostleship are you the people. Paul was stating as a leader that the authenticity of my leadership is the perfection, growth and maturity of those who are under my care. Many have confused the authenticity and validation of God upon their leadership, by relating to accomplishments, such as how big one can grow a church, how many TV and radio stations one can get on, what kind of automobile one drives, etc. There is nothing wrong with any of these accomplishments, but to set the standard to imply that these “the very accomplishments” is the authenticity and validation of God upon leadership is not accurate. God will use these venues as a means to accomplish his purpose, but the end result is to affect his people and cause them to develop and grow. God is raising up leaders that have the heart of God, which is to develop the growth of his people. And I will give you pastors according to mine heart, which shall feed you with knowledge and understanding (Jeremiah 3:15). Take heed therefore unto yourselves and to all the flock, over the which the Holy Ghost hath made you overseers to feed the church of which he hath purchased with his own blood (Acts 20:28). With in the framework of school, releasing leaders in the local church to be activated requires leaders and the church to understand that leaders can be given assignments to feed the church. The New Testament church is a church that functions with more than one leader building and edifying the local church. The church at Antioch had prophets and teachers operating and functioning. Pastors, teachers, prophets, apostles, evangelists, and elders can be given assignments in order to establish a particular truth. This can be done through written outlines, books, etc, just as teachers in school systems have textbooks and outlines. Perhaps they may teach out of the same books, but they teach differently. This is not an attempt to control a person and tell them what they should teach, however, one’s grace gifts are to be used to build and edify the church, which ultimately establishes the kingdom in the earth. Even so ye, foreasmuch as ye are zealous of spiritual gifts, seek that ye may excel to the edifying of the church (1 Corinthian 14:12). One must not think that they are going to be released to do whatever they feel they want to do now that they are released. Accountability is connected to the release process. To release one without accountability is out of order and has been proven to be unhealthy and irresponsible. Behold, how good and how pleasant it is for brethren to dwell together in unity! It is like the precious ointment upon the head that ran down upon the beard, even Aaron’s beard: that went down to the skirts of his garments (Psalms 133:1,2). Head is translated (Rosh) the head, person, chief, leader, captain, the head of a family. Ointment is translated (shemen) which means olive oil, which was sometimes perfumed, fat (substance) foods, fruitfulness of the earth, fertility, strength. The prevailing mentality of the lead covering sets the pace for the production level of the operations. Those that are in positions of covering and leadership as a presbytery must understand that the position of one’s overall mentality will filter through to the structural segments of ministry and shape the mode of the operations. Structural segments of ministry need the proper oil that flows from the head to produce fruit and become strong. The development of internal structural segments depends upon the quality of oil that is released unto them. The oil that was released upon Aaron’s head was meticulously prepared with some of the finest ingredients to produce the highest quality of oil. Moreover the Lord spoke to Moses, saying: Also take for yourself quality spices, five hundred shekels of liquid myrrh, half as much sweet-smelling cinnamon (two hundred and fifty shekels), two hundred and fifty shekels of sweet-smelling cane, five hundred shekels of cassia, according to the shekel of the sanctuary, and a hin of olive oil. And you shall make from these a holy anointing oil, an ointment compounded according to the art of the perfumer. It shall be a holy anointing oil (Exodus 30:22-25). Therefore to produce quality oil to our structural segments of ministry, the placement of those that will function as covering cannot be done haphazardly, but it must be considered as a vital function, due to the principle that the oil flows from the head downward. Elders: Puppet Group or Governing Group? The puppet controlled group: A puppet is a small figure of a person operated from above with strings by a puppeteer. A person who is controlled by others and is used to perform unpleasant or dishonest tasks for someone else. A doll with a hollow head of a person or animal and a cloth body; intended to fit over the hand and be manipulated with the fingers. A puppet-controlled group of elders are elders that are manipulated and controlled with the hand of constant fear of termination, blacklisting, and intimidation. The effective governing group: An effective governing group of elders are elders that are permitted to operate in their dimension of grace without the fear of termination, blacklisting and intimidation. They produce a desired effect and result, with minimum waste. They work well as a healthy team. They are what some would describe as a “Yes Man.” They are built and in some cases selected to fulfill the desires of the controlling system that is in place. They are usually not allowed to question or genuinely inquire about a discussion pertaining to any matters of the ministry. (Yes Man, meaning one who slavishly agrees with a superior). They truly are not released to function in divine grace and in some instances they are positioned on a false release platform. A false release is when a form of release is manifested or displayed, but there is no honor, no release of authority, and no access to the resources necessary to do what is needed. Leaders that operate in false release scenario, operate in what I call the fishing rod technique or spirit. Casting you out or releasing you, and then reeling you in, going back and forth, tampering with your destiny. This spirit likes to control your destiny and God-given potential, just as a fisherman likes to control his fishing rod. Within in a puppet group structure there are two pillars operating, competition and jealousy; these two spirits usually manifest within the operation of ministry. Leaders that lead puppet controlled groups are stimulated to play one individual or group against another in hopes of making one slavishly submit to the demands of the plantation system of operation. This is a witchcraft method to control someone. In most cases these two spirits are the driving force of a puppet group system. Loss of Identity. Puppets do not have their own identity, they take on the identity of their string master. Many leaders under the puppet system either lose their identity over a period of time or they never experience who they really are. The puppet system is built to oppress the expression of God-given identity and team ministry.Jesus had twelve apostles with different expressions of grace and identity, yet they were governing and operating as a team. The loss of identity breeds insecurities which cause people to become self-occupied, neglecting the need to be purpose driven. At this stage of the virus, many individuals have succumbed to the thought that the recognition of titles void of function validates their identity. Effective governing elders understand and submit to divine order. They recognize senior leaders that God has set over them. They are not intimidated or threatened with selfish controlling tactics. As a result they are allowed to operate in their dimension of grace without the fear of being blacklisted and terminated. They function with mutual respect one for another, able to speak into the direction of the ministry without the fear of backlash. Under this structure of leadership the senior leader respectfully is allowed to make overall decisions. Effective governing elders intentionally pursue maturity and continual development. They examine themselves and choose to deny carnality. The responsibility of caring, protecting, and covering God’s people is dear and important to them. Their kingdom lifestyle of love, humility, wisdom, and integrity leads by example. The order of leadership and its mighty requirements would be great to see in not only those called as shepards, but also saints, believers and even non-believers. The role is a vital one that must be taken serious so that the message of God continues to navigate successfully without barrier or conditions. I really did enjoy this reading and the knowledge that floats throughout the context. 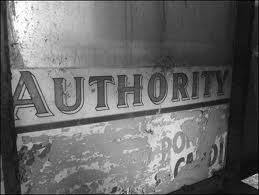 Thank you so much for your article, “In Authority But Under Authority”. 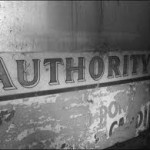 It is very important for us as believers to understand that no matter what position of authority God places us in, we must still be properly submitted to authority. It is equally important for us to operate in a spirit of humility. The higher we go in the things of God the more humble we should become! Looking forward to future articles. I am very touch for your books that God has already approved for my education and wisdom empowerment. I am for the second time reading one of your articles, “In Authority but Under Authority”.